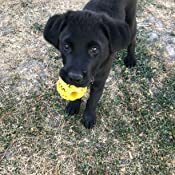 🐶 MENTAL AND PHYSICAL STIMULATION — Without toys and healthy exercise, dogs are known to grow bored and engage in destructive behaviour. 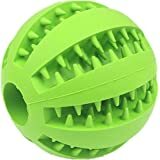 Going beyond the simple “fetch” balls of the past, Zenify’s uniquely designed interactive fun treat training ball is designed to keep your dog mentally and physically stimulated. 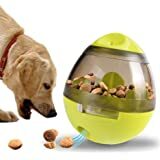 Fill the ball with your dog's favourite treats of food and watch them roll it around, train, smarten, challenge and try to get the treats out. 🐶 PROMOTE ORAL HYGIENE — Filling the ball with treats will attract extra attention from your dog or puppy. 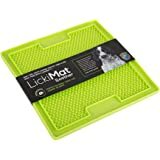 Without even realising, in attempting to get the treats out, the the special grooves of the toy can massage and help clean the teeth, gums and inter-dental spaces of your dog’s mouth. 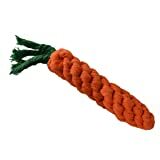 🐶 NON-TOXIC — This toy is made from a safe rubber material which does not contain any toxic elements harmful to your dog. 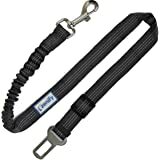 🐶 PERFECT GIFT — Ideal gift for a new puppy or dog owner to build a healthy and playful attitude with their new companion. Great add-on for birthdays. According various studies of canines behaviour, dogs could be possessive when there is only one toy in their vicinity. Sometimes dogs like different toys too. So preparing 2-5 different toys at any one time for dogs is recommended. We suggest that you don’t give all the toys in your possession to your dog at the same time too. After introducing a new toy, substitute it by taking back and older one to be reintroduced again in the future. 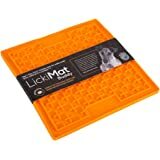 Ultimately, this helps keep a dog's interest of a toy in the long term. Supervision is advised with ANY pet toy to ensure no accidental swallowing. ANY toy should be regularly inspected to ensure there is no damage. If any damage is seen the toy should then be discarded. ANY toy must be larger than the width of your dog’s mouth. Excellent service for a quick delivery. 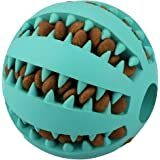 Ball is minty and has helped with dogs bad breath. We use it as part of his meals to slow down his eating and it’s been perfect so far. 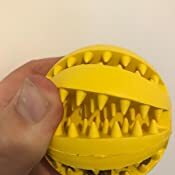 He has a tendency to keep chewing something until it’s broken and still no teeth have come off so good quality for the price. 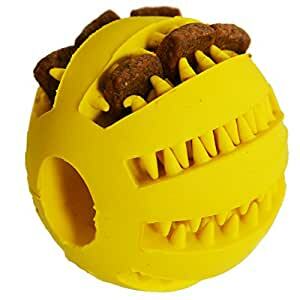 Great little toy to keep your dog occupied. I put peanut butter in mine and it keeps my dog entertained for a while getting it all out! Quite small in size but looks like the photo. I haven't tried it yet but intend on putting some peanut butter in and seeing how long my dog takes to get it all out! 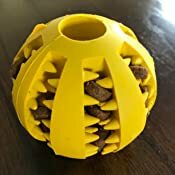 This is a good toy that keeps the dogs interested, and it hasn't been chewed to pieces yet which is also a good indicator of it's strength. 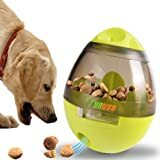 Stuff it full with treats and your dog will enjoy trying to chew them out. 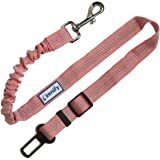 I ordered two of these for my border collie pups. They both enjoyed it and it kept them busy for a bit. Would recommend. Great toy for my pup, took a while for him to pick it up but he’s now obsessed. Even likes chewing on it when he’s teething without any treats!